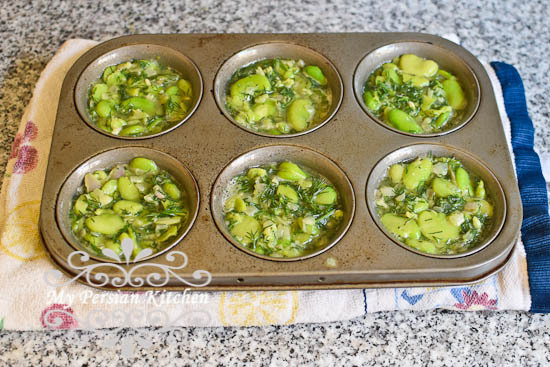 Spring time is Fava Bean season. I think that fava beans are underused and underestimated. Personally, I find them to be delicious. I usually make my kuku in the traditional ways, either stove top or in the oven. 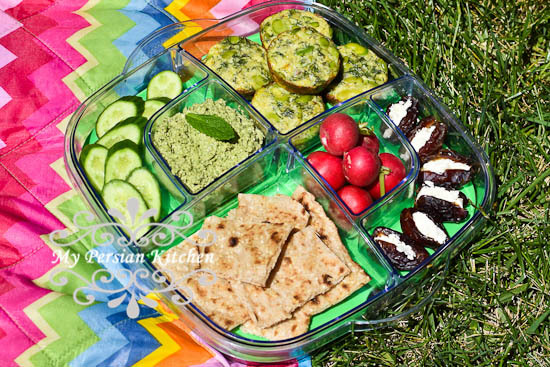 However, this time, I chose to make my kuku in muffin pans because I wanted to make them picnic friendly for Sizdeh Bedar. I hope you will enjoy this recipe as much as we have, whether you make it in the oven, stove top, or muffin pans. 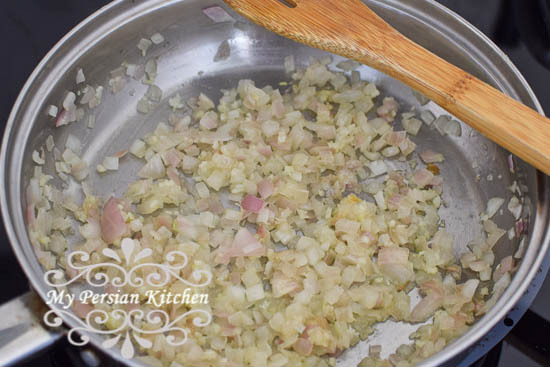 Sauté diced onion and minced garlic in 2 tablespoons of olive oil until translucent. Set aside once cooked. 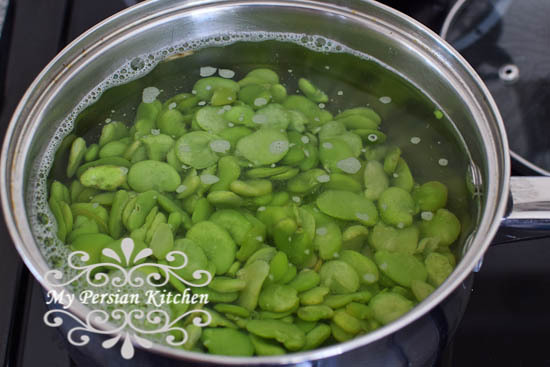 Bring 4 cups of water to a boil, season with salt then add fava beans. Cook covered for 5 minutes if fresh, or 8 minutes if frozen. 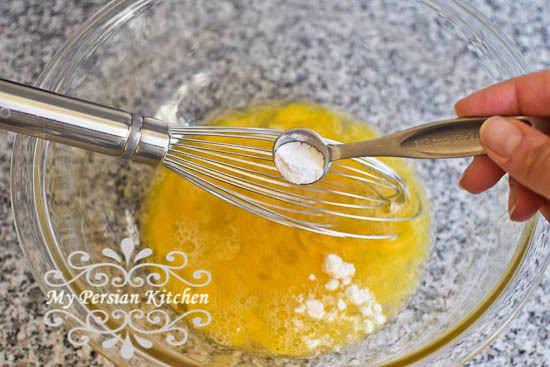 In a mixing bowl beat eggs, then add Baking Powder, salt, and pepper. Mix well until all the Baking Powder lumps are gone. 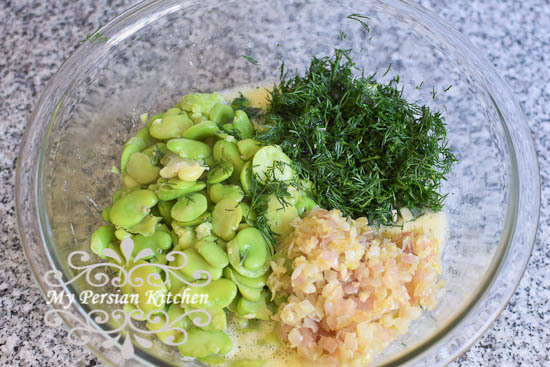 To the eggs add cooked fava beans, onion, and chopped dill. Mix well. 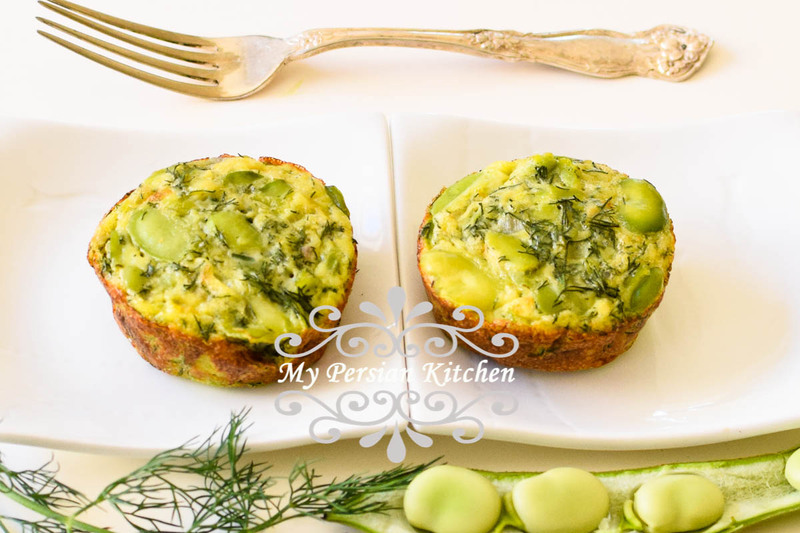 Spray muffin pans with olive oil or canola oil spray, then evenly distribute the egg mixture. Bake at 375° for 20 minutes or until done. Bring 4 cups of water to a boil, season with salt then add fava beans. Cook covered for 5 minutes if fresh, or 8 minutes if frozen. Drain fava beans in a colander. To bake without muffin pans, spray an oven proof dish with olive oil or canola oil, then add the batter. Bake for 30 minutes or until done.